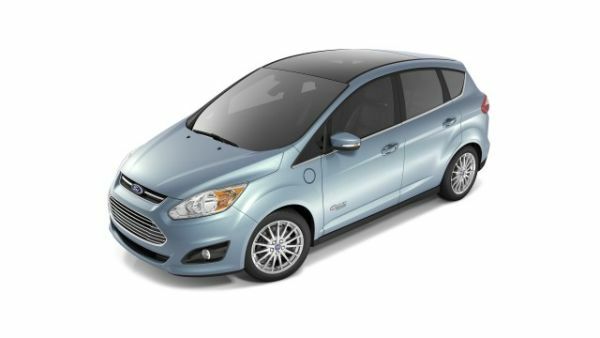 2015 Ford C-Max Energi is a plug-in hybrid wagon that has impressed the critics because of its agile handling and spacious seating. It competes with Toyota Prius V and Chevrolet Volt. It is available solely in a single trim. With hatchback body style, it has a wheelbase of 104.3 inches, length of 173.6 inches, width of 72 inches, and a height of 63.8 inches. It has a 5-door body with a rear spoiler, power windows and rear defrosts. The base curb weight is 3859 lbs. Eye-catching standard exterior features include black rocker panel moldings, center high-mounted stop lamp and manual lift gate with remote lift gate release. The piano black grille gives the appearance a unique edge. Rain-sensing wipers and variable interval windshield wipers are standard while panoramic fixed glass roof is optional. The interior has been given a very thoughtful design with ample use of luxurious and appealing materials. 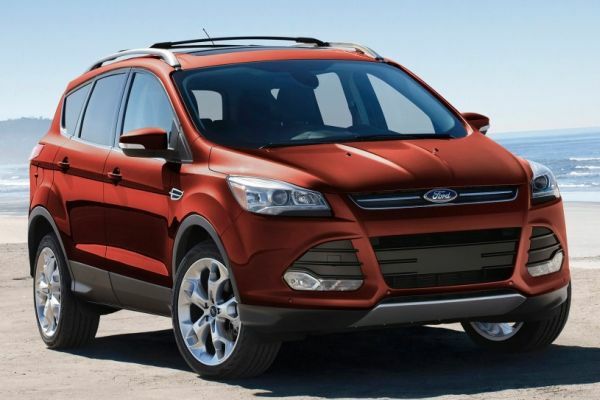 It has 5-passenger capacity with front headroom of 41 inches and leg room of 43.1 inches. The second headroom is 39.4 inches while leg room is 36.5 inches. The cargo space that is created with the rear seat folded is 42.8 inches, which is actually smaller than what its competitors offer. Other features include push button start, leather seats, Bluetooth, automatic climate control, MyFord Touch touchscreen infotainment system, satellite radio, optional navigation system, cruise control, auto-off headlights, adjustable leather-wrapped steering wheel, power door locks, fog lamps and voice-activated SYNC system. All around visibility is of top quality. It has a front wheel drive and uses a gas/electric engine. It is equipped with a 2.0 liter I-4 Atkinson cycle engine along with an electric motor that raises 188 hp @ 6000 rpm and a torque of 129 lb.-ft. @ 4000. For home charging, a 240-volt charging station can be bought. The engine is integrated with automatic transmission with a continuous variable. It offers mileage of 40/36 mpg for city/highway. The wagon has the starting price of $31,770. It will be released in the US markets in mid-2015. The wagon is a smart vehicle that is not just affordable but also a complete attractive package. The exterior has a solid design with a robust hood. The interior is wonderfully spacious having a moderate cargo space. The hybrid powertrain gives superb performance and mileage. Handling is very nimble. 2015 Ford C-Max Energi is available in only one trim that costs $31,770.